We specialize in creating a custom tailored and affordable suspension to your specific needs. Whether installing a mild street kit, or designing a professional motorsport system, let us guide you down the correct path to suspension perfection. 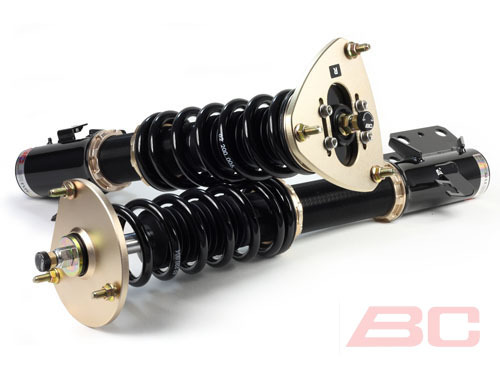 Each BC Racing coilover system has multiple spring configurations, and most can also be easily upgraded with simple part swaps. For example, a BR Type can be upgraded to an RM Type, and the RM or BR Type can be converted to an ER Type – all with just a few changes. MPERFORMANCE COLOURS – CLIP ON KIDNEY GRILL ACCENTS. Mercedes A45 AMG A-class OEM AMG Style Roof Spoiler Kit. FFR PERFORMANCE COLD AIR INTAKE KIT for VW MK5 GTI, MK6R and Audi S3 8P, TTS.